Ageless, very fit 63 year old man with holistic/left-green political views looking for soul mate Exceptionally young, energetic and fit - I walk 5-6 miles daily, fast to keep in trim and healthy, etc.). A writer, a Corbynista (i.e. 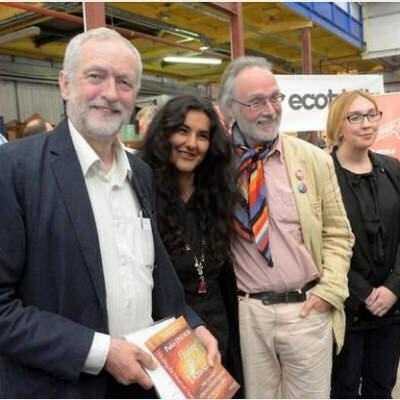 left-wing/green politics), politically active, spiritual, retired counsellor/psychotherapist, PhD, former university lecturer and Steiner teacher, campaigner on mental health and early education, born and bred in Somerset, UK. Into "alternative" (meaning "holistic") lifestyle and values. Kind, thoughtful, loyal, passionate about life and love, empathic, a great listener (I'm told). I LOVE music of diverse kinds. I adore John McLaughlin and the Mahavishnu Orchestra (starting from 'The Inner Mounting Flame', 1972 onwards); also Soft Machine (Ratledge/Wyatt/Holdsworth); Joni Mitchell; Olivier Messiaen (share his birthday!)... My current/latest love is the wonderful world music band Spiro, from Bristol. “Have issues with” cars, social networking, mobile phones - and the dreaded selfie - but I'm certainly not a judgemental ideological zealot about them. Please don't feel intimidated by all the above! - I'm actually just a pretty ordinary, down-to-earth kinda guy, with a lust for life and passably intelligent. I've now done more than my fair share of the career-driven left-brain "intellectual gymnastics" stuff, and now increasingly value Simplicity and the "wisdom of the heart" as core perennial principles for living a life. I'd love to find an attr(active) soul mate who shares some of my passions, and with whom I can share hers. Finding someone who is on her own personal and spiritual development journey (importantly, in that order) is also important to me. Finally, diet is also an issue for me - if you're a voracious meat-eater, that would be difficult for this veggie who's aspiring to be vegan! Thanks for reading this, and good luck on finding your man. Her age - in the ballpark of 45 to 55 years old. Her personality: generous, spontaneous, healthy, energetic, emotionally intelligent, thoughtful, spiritual, sensitive, reliable, attractive, open-minded. Non-smoker, preferably vegetarian. Not someone who's heavily into travelling! Preferably within 50 miles of Stroud, UK (but that's not a breaker).